Today’s post is more of a gentle reminder than a recipe. With Canada Day today and July 4th approaching for the States, people will be out enjoying the sun. 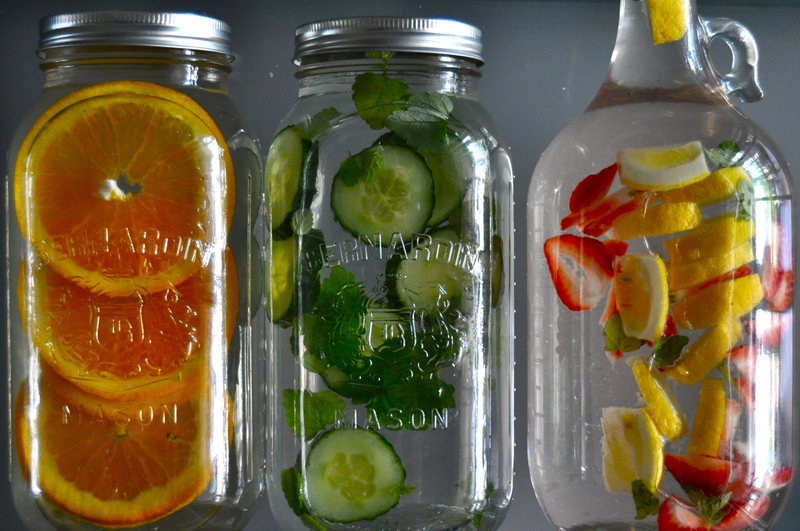 It is so important to stay hydrated, these flavoured waters make it easy 🙂 These are great to pack for all of your outdoor adventures this summer. Make these with kids and see what combinations you come up with! 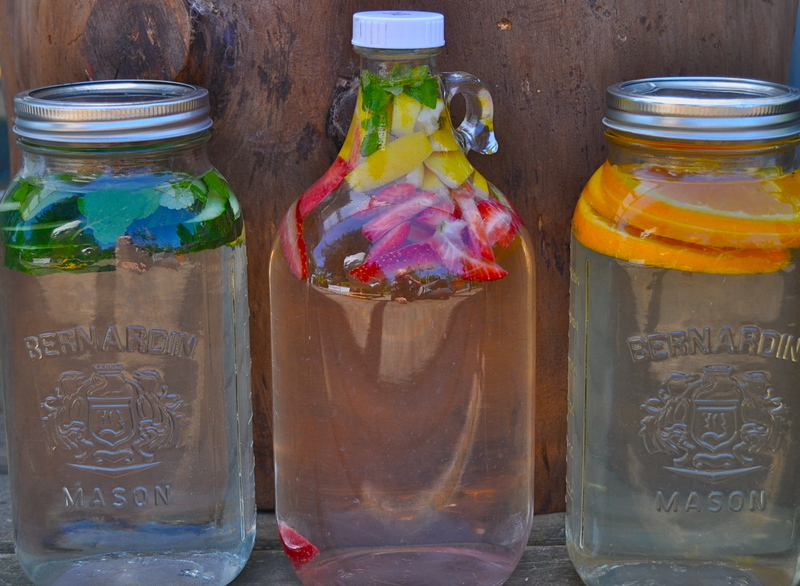 Although flavoured waters are not a new concept, I love making these three varieties together. They compliment each other, but are different enough to keep it interesting. 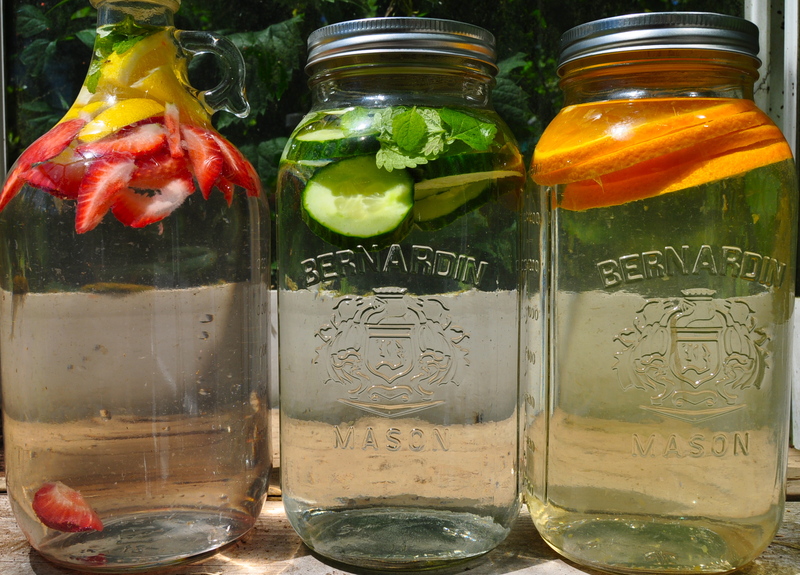 Each combination makes one mason jar full (4 cups). Double or triple to fill your container. *Note: As you are leaving the skins on the citrus and cucumber, make an effort to buy organic to prevent pesticide residue from contaminating the water. This entry was posted in juice, raw, vegan, vegetarian and tagged cucumber mint, flavoured water, orange Creamsicle, raw, recipe, Spa water, strawberry lemonade, summer, vegan. Bookmark the permalink.